from completed build White Rabbit - First PC Build! Easy to install, Kaby Lake is great, great CPU at the price point if you aren't going to OC. 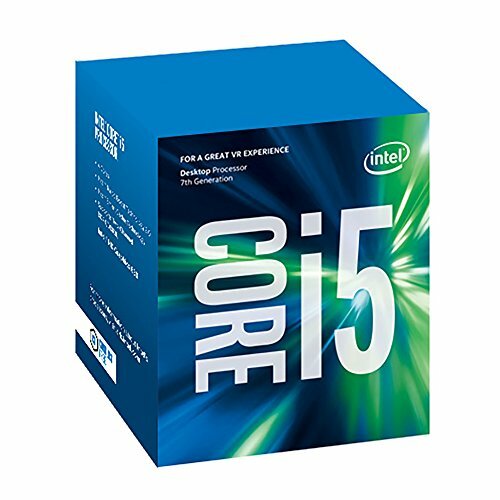 The i5-7500 was a great deal at the time and managed to buy it for 10$ less than the i5-6500, you can never go wrong with an Intel processor. 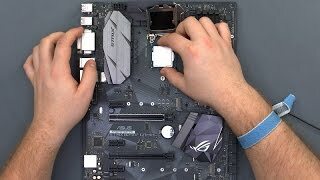 I chose this kaby lake CPU because of its low TDP and because it fits my budget. I left the stock cooler on, and it's reasonably silent. I'm not interested in overclocking and this is more than I need for my purposes. worth the wait! was using pentium g4400 then is saved enough for this baby! Potentially the best buy for me as it ensures future upgrades without any bottlenecks. Great processor for the price. Runs very cool in my build. TL;DR - Solid chip, great price. Pros: Decent temps with stock cooler, good price, solid performance. Is it the best processor available? No, not even in the i5 line - but this lil guy runs everything I throw at it and doesn't heat up with the stock cooler. This chip is more of a placeholder for me - I wanted to invest in other parts of my build while still getting a Kaby Lake chip, so running the 7500 without overclocking worked like a charm - and I still have the ability to upgrade to a K-series and a better cooler when I feel like making the investment. Great CPU for the price, stays cool under load (58C). If wanting to put together a non-OC build, this is the chip to do it with, plenty fast for gaming and streaming, enough said.